Did you know...? Depression, divorce and sexual problems are all on the increase. Sadly, that's good news for you as a would-be counsellor. It means the demand for counsellors can only grow. 1. Many people no longer have a network of family members or a community. So they have no one whom they can turn to for help. A counsellor can provide the advice and support that others can't bring. 2. Women are no longer willing to tolerate abuse or bad behaviour from their partners. They often require their partners to seek advice. 66% of mid-life divorces are initiated by women. Counsellors can help bring partners together. 3. Old people are separated from the family, and have no one to turn to. After a busy life, they can become lonely and troubled. Counsellors can provide real solutions. 4. Because their parents work, children often lack the detailed care and support given by parents. Some turn to drugs. Other children have problems at school, and stop going. Again a counsellor can help. And that means more people are seeking the support of a counsellor. So there's a bigger opportunity for you to become a counsellor. You can be the person who, day by day, helps the world become a slightly better place. And you can achieve that by gaining the Diploma in Counselling from the Blackford Centre. You can study the course online at home, and there's a printed edition that comes to your door. There's no pressure – and we give you lots of support. We give you the tools and techniques you need to help people as a counsellor. The course is full of activities, suggestions, tips and ideas that you can instantly use with your clients. We explain how to set up your own counselling practice. We show you how to launch and market it, and how to get clients. You'd be surprised how many courses don't cover this adequately. Counselling is very flexible. You can counsel people by phone, by email, and by face-to-face meetings. 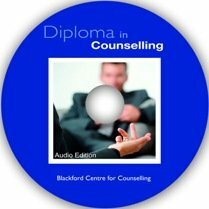 And the easiest way to become a counsellor is to enrol on our online course, the Diploma in Counselling. It contains everything you need to know about counselling. What's more, the course is flexible. You can start whenever you want. You can take as long as you need. And whenever you have a query, you can phone a course advisor or email your tutor. "Since completing the course I have been able to use the skills acquired on the course. It has helped me work in the Salvation Army as a counsellor and have my own practice room available to use. So found the course to have given me confidence and ability to counsel others." We created the course to help people like you become a counsellor. Other counselling courses were either too academic, too brief, or lacking in interactivity to do the job. Which is why we had to prepare our own. And for the past eight years we've been improving it, revealing to students the methods used by counsellors, and showing them how they can apply these techniques in their own lives. You don't have to attend classes, or be anywhere at a fixed time. You study at times to suit yourself. Many people study our counselling course in the evening, after work, because they lead a busy life and have a job or family. These days, people like you lead lives that are simply too hectic and unpredictable to be tied down to attending class on a particular day, or to log into a website at a particular hour. That's why distance learning is so convenient. You choose when you want to study. It might be after all the kids have gone to bed. And you decide where to learn – perhaps on the train to work, or under the shade of a tree in your garden. When you sign up, you'll get a lot more than just a set of books. 1. 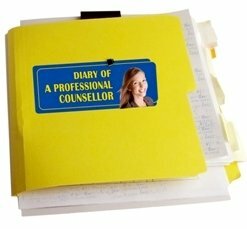 You can get a 'study buddy', with whom you can practise your counselling techniques. In fact you can have as many study buddies as you want. This gives you the convenience of independent study, plus the advantages of working with other students. 2. You'll also have a personal tutor. This will be a working counsellor who is committed to helping you succeed. Our tutors are specially chosen to be caring, supportive and experienced. 3. You'll send in assignments to your tutor, who will carefully assess them and return them to you with helpful comments. The assignments help to ensure that you have absorbed the lessons. 4. 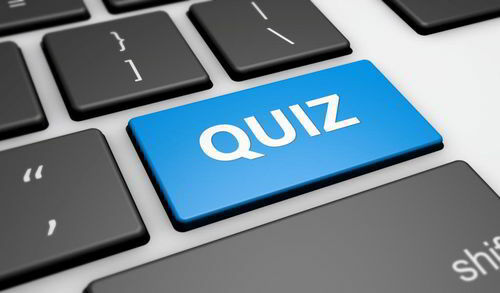 You'll complete regular self-assessment exercises that help you check that you understand the issues involved. Could you become a counsellor? You'll get a range of useful bonus items that will help you in so many ways. Follow the highs and lows of a professional counsellor's life, as our counsellor reports each week on her experiences in the field. You'll get insights into her day, and learn from her successes and failures. The Diary is available exclusively to our learners. You’ll receive free website pages for your counselling practice. The website comes in a range of five colours, complete with sample text. It will save you a lot of money, weeks of delay and the trial and error that comes with designing a website. For more information, click here to see the free counsellor’s website. This 47-page book contains complete step-by-step checklists for starting a successful business. Click here to learn more about Business Blueprints. Online counselling is a big opportunity for the future. This guide teaches you how to provide an online counselling service. It's not available elsewhere. 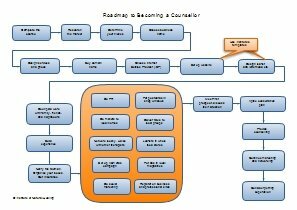 Our Roadmap shows you, step-by-step, what you have to do to become a counsellor. It is not available anywhere else. Comes with instructions for use. "It made everything clear and simple." This guide includes a wedding journal for your clients and full details of how to be a pre-marriage coach. Not available anywhere else. "I have thoroughly enjoyed doing the Diploma in Counselling course under the tutorship of Emily Fieldhouse. 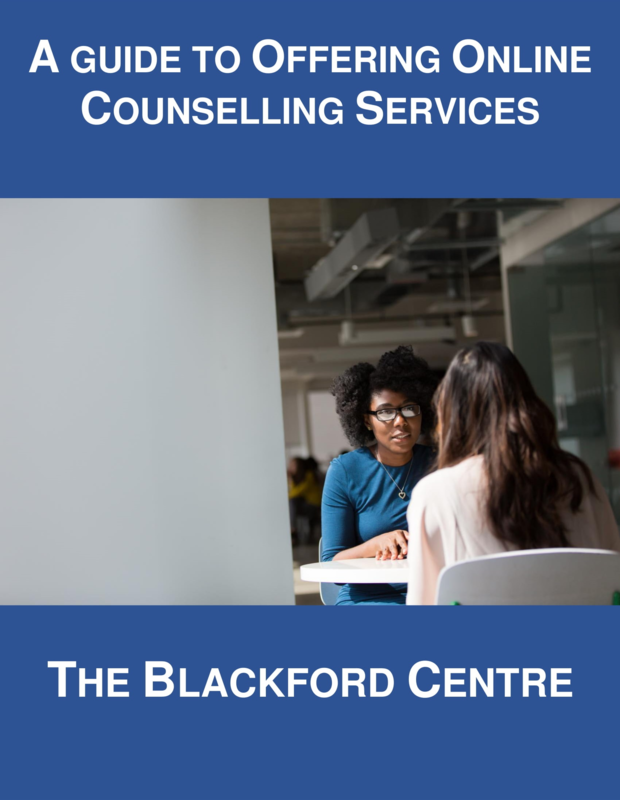 It took me longer than I anticipated due to family and other commitments, but the Blackford Centre worked patiently along with me, gently and repeatedly encouraging me to press on. 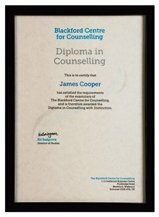 I completed the course with Distinction thanks to the excellent and professional guidance of Ms Fieldhouse. I unreservedly recommend this course to anyone who wants to deepen their counselling knowledge and skills, acquire the resources, and the know-how to set up their own counselling practice which is where I am heading to." Life as a counsellor is very satisfying. You get to resolve people's problems, and you get paid for it. Here are some of the situations that counsellors get involved in. Save marriages by helping both sides to understand each other. Help parents of adolescents to understand their child better, perhaps dissuading the child from leaving home or taking to drugs or the street. 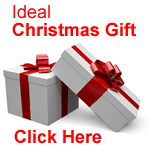 Give lonely older people the gift of friendship. Give angry people tools that let them control their anger, thus making life better for those around them. Allow the bereaved a forum in which they can express their hurt, safely explore their feelings, and ultimately come to terms with their pain. Help people who regularly get into bad relationships to understand their patterns of behaviour, and give them new ways of handling other people. Give people techniques to understand destructive patterns of behaviour (like alcohol or drug abuse) and stop it. "The Course changed my life! I started my own practice and I had one client for three years, and from there I started my own event planner company by helping brides with their wedding and also counselling the couple to prepare for their live together. I thing this is the best way of using what I have earn from the study. So I have two companies wrapped up in to one." We’ll put your name on our list of Approved Counsellors. It could bring you work. I strongly urge you to register today. 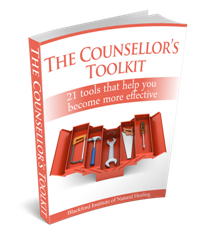 Delaying this will only increase the time it takes for you to get started as a counsellor. 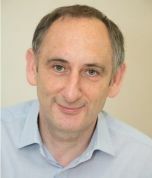 "The course has prepared me well, into what to expect out there in the counselling world. In the beginning the course appeared quite simple, and I had thought it might not have had any value to me in the coming future...But after I got started with the course material, I found the relevance to the materials and I am quite pleased with the approach that was made, it definitely was well put together." "The course is very interesting, especially the staff, they always contact me to see if I am ok, and how I am getting on, I like the tip that are sent to give me extra ideas and tasks to better my knowledge of being a counselor....the tutor is just down to earth and realistic. If you haven't gotten the time to sit at a desk in a classroom around hasty people you can get the basics and advance right here with this course....and when it fits your time and schedule, if you would like to you can attempt a deeper class if you feel it is necessary to do so, the price is cool too." Do the same for the other modules, until you reach the end of the course. By then, you'll be earning money as a counsellor. "I'm now working for myself. 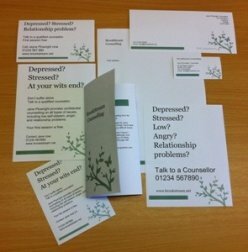 Everything is going so well, I have gone in partnership with another Counsellor and we are going very well. Our client list is growing longer. Thank You for all the support that this course has offered me. I am so thankful for all the support that I received from my tutor.